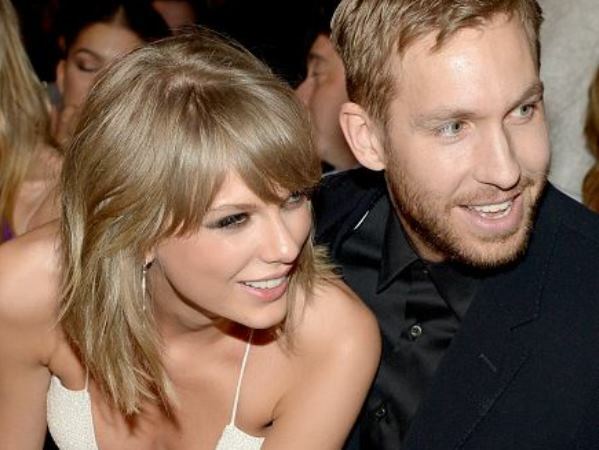 Taylor Swift and Calvin Harris shared an intimate pool day moment with fans. The 25-year-old Bad Blood songstress was first romantically linked to the Scottish DJ in February. And it seems their relationship has moved on to new sizzling heights, as Taylor posted a sweet photo of them together floating in a Los Angeles pool on Wednesday. In the caption attached to the Instagram image Taylor wrote, “Swan goals,” which seems to have referred to the giant floaty swan she and Calvin were drifting along in. Their romance is said to be going from strength to strength of late. It’s claimed Calvin has even been a rock for Taylor since her mother Andrea was diagnosed with cancer. "They're completely loved up. He's been there throughout her mom's illness. He's been an amazing support to her. There are things in her life that are really tough right now, but she's never felt more centred and solid and that's down to Calvin - and her friends," a source told British magazine Grazia recently. Singer Ellie Goulding confessed earlier this month she was the one pushing Calvin and Taylor to get together. "I did play matchmaker, that's true. Calvin is a really great mate and he's so fantastic, and Taylor is such a cool person who I love. I thought, 'They're both really awesome and both really tall, they'll be brilliant together,’" Ellie laughed to British newspaper The Sun. Taylor’s love life has been a major talking point in recent years, as she's been romantically tied to stars like Harry Styles, John Mayer and Jake Gyllenhaal.